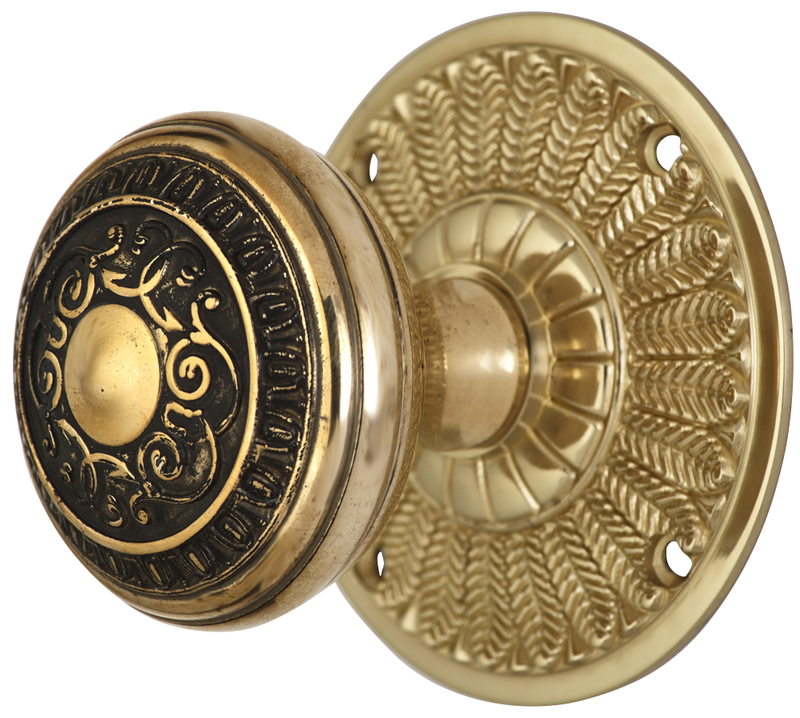 2 Inch Romanesque Door Knob With Feather Rosette (Polished Brass Finish) - The door knob set shown here features a lavish Romanesque style design. Measures 2 inches in diameter and is matched with a 2 3/4 inch tall feather rosette. Comes in a variety of finishes. The set is available in single dummy (1 fixed knob), double dummy (2 fixed knobs), functional passage (non-locking) and functional privacy (locking) sets. Functional door knobs come with a standard 2 3/8 inch back set, or you can request a 2 3/4 inch back set at no extra charge. This item is available in several other fine finishes.